efficiency, contracts security and high quality standards. better find and safely work with contractors (by using blockchain technology). services, products and intellectual property. 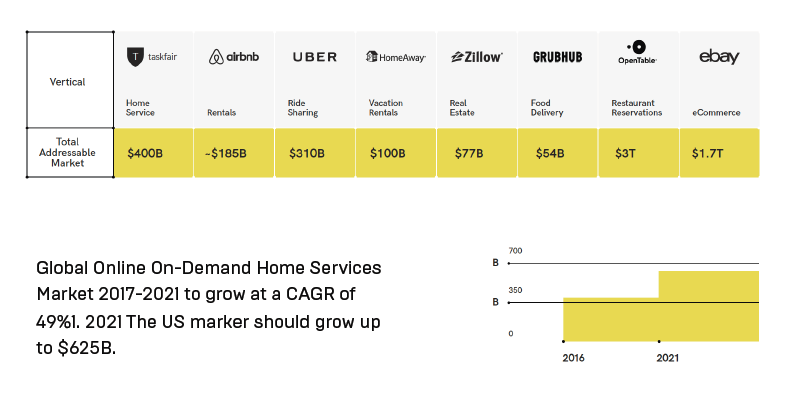 demand market and empower an entire new wave of Gig Economy innovators. States has the largest home services market. As mentioned above, there will be an external currency and an internal currency. 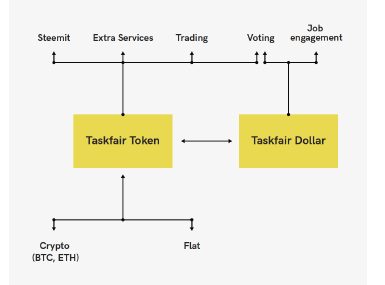 Emission of the external currency, the Taskfair Token, will occur during the Taskfair Token Generation Event. Taskfair tokens are available for purchase on the Taskfair platform. Taskfair tokens will also be available on certain exchanges in 2018. The Taskfair Dollar is the internal currency. The rationale for an internal currency is to protect the operation of smart contracts inside the Taskfair network against potential token volatility in the cryptocurrency marketplace. In this way, the internal and external currencies will be decoupled. The Taskfair Dollar value will be calibrated to the USD rate, and it will be updated on daily basis. Users can purchase Taskfair Dollars only inside the Taskfair platform. The only currency accepted for purchasing Taskfair Dollars is the Taskfair token. Steemit and the Creation of a Home Improvement Community. Taskfair seeks to do more than connect end users with a handyman or useful analytics. 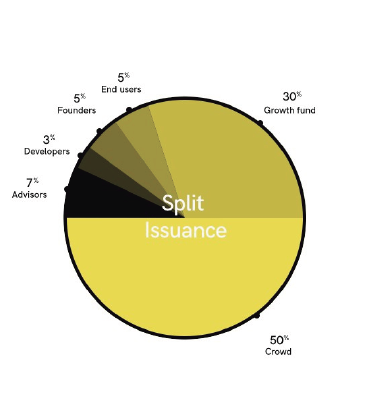 Taskfair’s ambition is to create a genuine community. This community will provide buoyancy and valuable knowledge with respect to the home improvement journey. Home improvement is emotional, if not sacred. Taskfair understands the delicate hand that needs to be applied to the sensitivities and preferences of a household. The world is full of discouraging experiences and personalities in the quest for home improvement. A Taskfair community will form, and the members of this community will propel one another with an exuberant dialogue and motivating posts. This exchange of ideas will encompass everything from design tips to “how to” knowledge. Taskfair will integrate Steemit into Taskfair’s platform in order to structure a reward based system in which end users receive cryptocurrency for upvotes. Taskfair’s community members can upvote content that users deem to be valuable, such as a post, blog, video or other correspondence has been contributed by the end user. 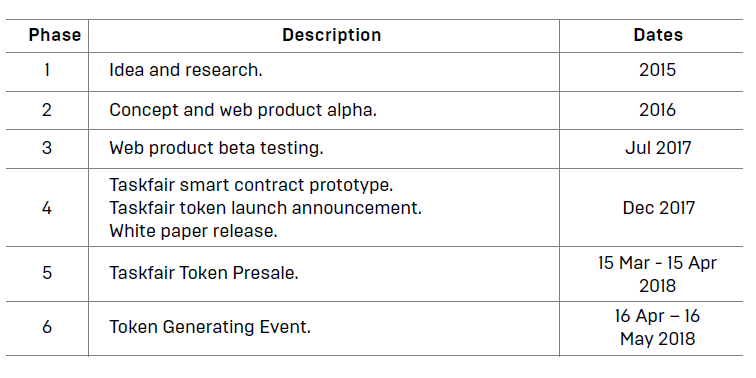 Taskfair’s roadmap is set forth further below, with specific dates. • Version 1.0, the Taskfair token will be available for use on the Taskfair platform. C. User IDs to expedite repeat visits. F. Ability to purchase home improvement products and accessories. based on superlative analytics and home improvement achievements. G. Interoperability with home insurance providers. Pre-sales will commence on March 15th and conclude on April 15th, 2018. Taskfair seeks to raise $5,00,000 during this pre-sales period. Pre-sales will be capped at 50,000,000 Taskfair tokens. bonuses from 5 to 30% from the original price ($0.10). 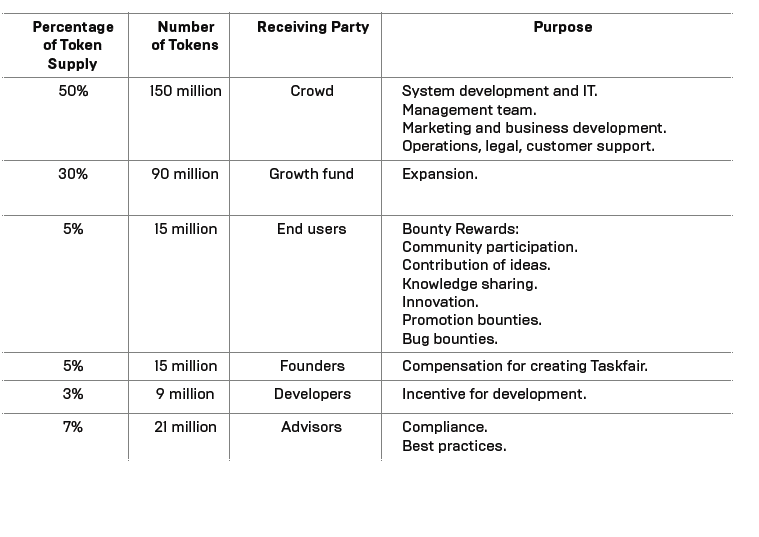 Token Generating Event and Token Sales. The Token Generating Event will occur from April 16th, 2018, to May 16th, 2018. Taskfair seeks to raise $10 000 000 during this TGE period. 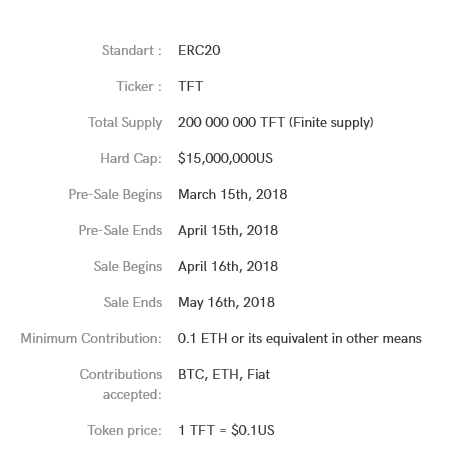 During the TGE, Taskfair tokens (TFTs) will be sold with original price ($0.10). Taskfair raises sufficient funding, Taskfair will incorporate HIaaS into Version 3.0.
find details and estimates below. 10% will be reserved for the management team being able to give the project focus. reserve to contain against price volatility. Special reward for completing KPI’s - +50%! First stake distribution will take place on the 13th of December. We leave ourselves the right to remove you from campaign if we think that you are cheating or spamming. Stakes are removed when the person is removed from campaign. We can refuse to let you participate in our campaign for any reason. If you don’t meet the minimum amount of posts, you will not receive any stake for the current week, but you will remain in the campaign. Blog bounty is awarded to content-makers, bloggers and vloggers that write about TaskFair. To participate just write a 100+ words long text regarding the project and publish it on your website. The better is your text - the more stakes you will receive. 1. All the texts must be published online and accessible by everyone. 3. We don’t allow websites with no audience or new websites; the website where you choose to publish your text, must be at least 2 months old, and must have the user activity. 4. Your text must be 100 words or more. 5. Your post must include at least 1 link: to Taskfair website *link*, Taskfair ICO ANN thread *link*, other Taskfair social medias *link* *link* *link* or to the other articles about the project. 6. Make sure you’ve read Taskfair website and/or whitepaper and have an idea of what the project is about. 25 stakes for any post/video/blog. KPI +50%: The post has more than 100 views on the platform where it’s published, and has scored 80%+ on anti-plagiarism check (for articles). Also make sure that your text can pass factcheck and doesn't have typos and errors. Take part in the Social Media Bounty - share and like us in Facebook + Twitter and get rewards! 10 stakes for a week when participating in any of the bounties. - All tweets must be in English. - You must make at least 10 tweets about TASKFAIR overall (over the course of the whole campaign), including - in each! - a link to our website, hashtag #Taskfair (obligatory at all times), and at least one of the following hashtags: #blockchain, #cryptocurrency, #ICO, #altcoin. Only 1 tweet per day will count. - You must retweet at least 10 tweets overall (over the course of the whole campaign), only from (tweeted by) our official Twitter account . Only 1 retweet per day will count. - You cannot remove the tweets or the retweets you made during this bounty campaign or unfollow our Twitter account until its end plus one week. This will make sure you quickly pass all checks. - You must like and repost at least 8 posts overall (over the course of the whole campaign), only from (posted by) our official Facebook account. Only 1 like+repost per day will count. - You must make at least 8 posts about TASKFAIR overall (over the course of the whole campaign), including - in each! - a link to our website, hashtag #TASKFAIR (obligatory at all times), and at least one of the following hashtags: #blockchain, #cryptocurrency, #ICO, #altcoin. Only 1 post per day will count. - You cannot remove posts, likes or the reposts you made during this bounty campaign or unfollow our Facebook account until its end plus one week. This will make sure you quickly pass all checks. - All posts must be in English. TASKFAIR reserves the right to change terms and conditions and add new ones at any time at its sole discretion. Join the official English TASKFAIR group – 10 Stakes. *Must have experience translating crowdsale threads and translation threads to refer us to. - Please do not submit a request to translate unless you are truly fluent in the relevant language and at least relatively fluent in English. Software translations will not be accepted. - Translators may only apply to translate one language. Applications to translate multiple languages will not be accepted, so please make sure to apply for the language you are strongest in. - If accepted as a thread translator, translated thread MUST be completed and submitted within 72 hours of acceptance. Further details will be provided to individual translators upon acceptance. - Taskfair [ANN] thread management: 1 stake per 1 post in your language’s thread (this will be audited for manipulation). All other languages are welcome! Translations bounty stakes will be distributed proportionally according to number of stakes earned.